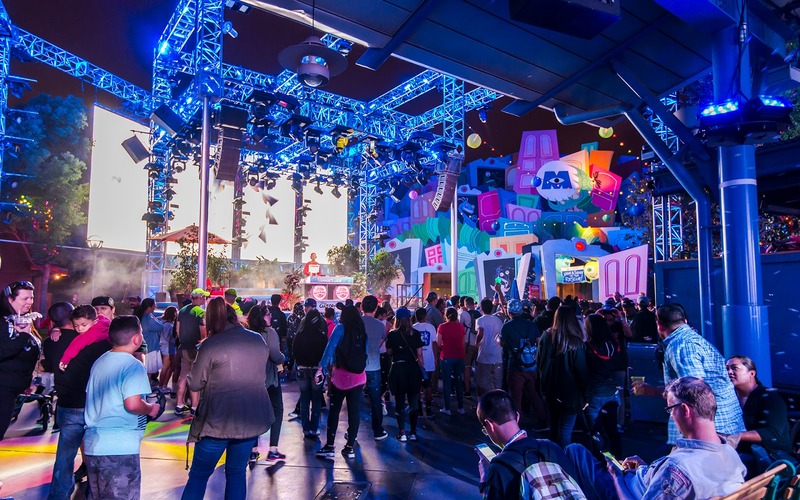 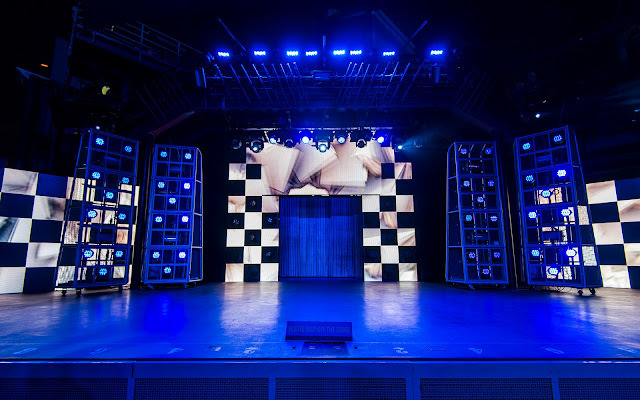 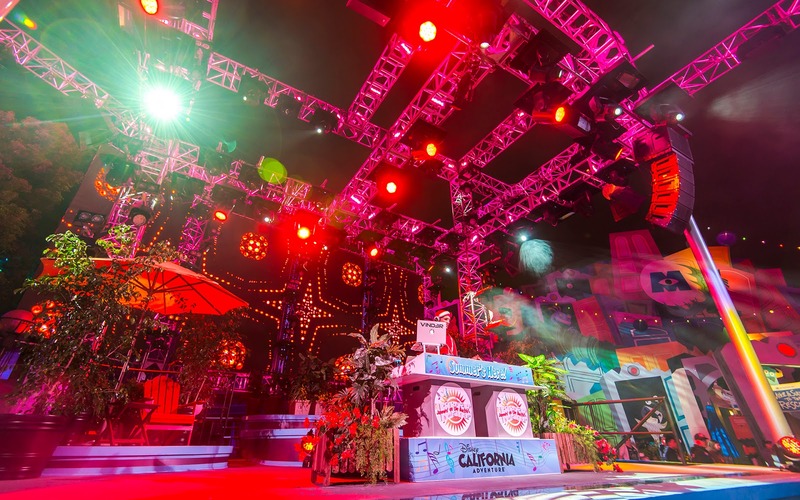 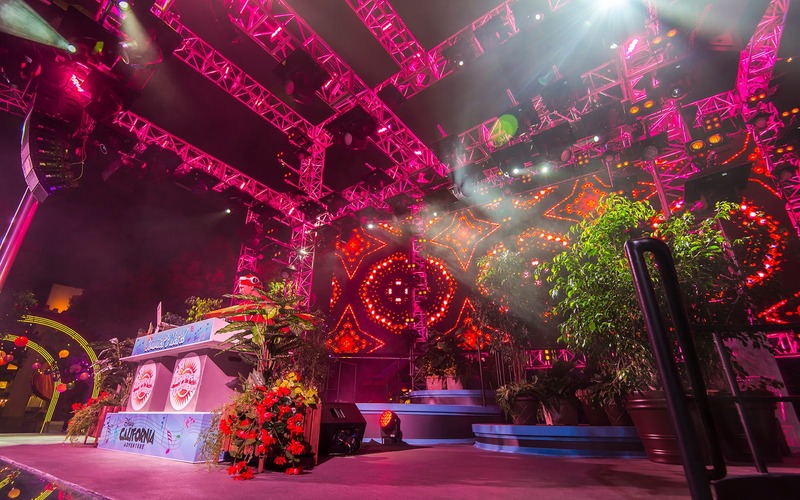 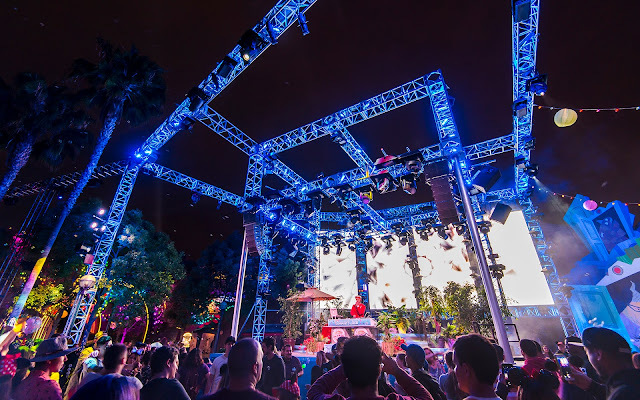 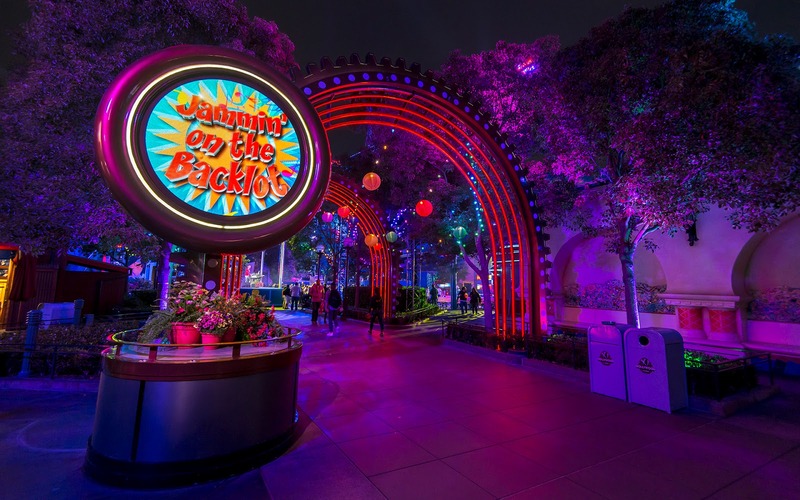 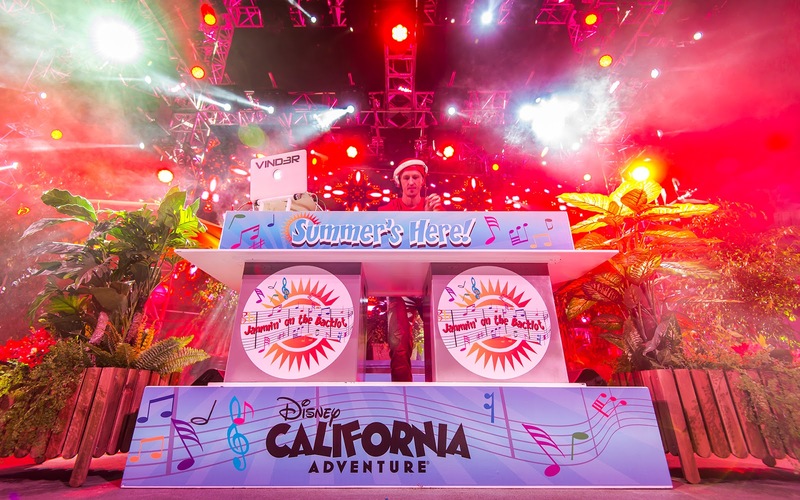 After the end of Mad T Party a couple of months ago and the holdover of the space for the Food and Wine Festival activities, Disney California Adventure quietly repackaged the Hollywood Land backlot area into yet another nighttime dance party overlay. This one is not much of an effort--it's called "Jammin' on the Backlot" and is basically just a themeless holdover of the previous sets. 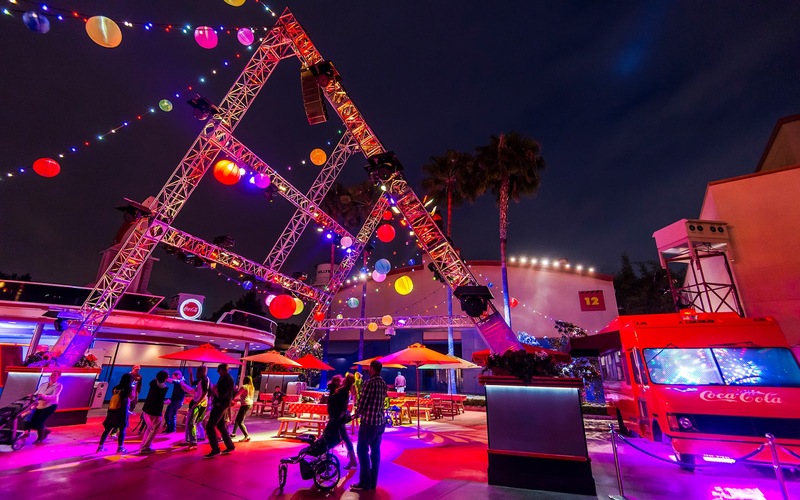 But it's photogenic at night, and the (much smaller now) crowd seems to enjoy it, so there's that. Here are some photos.